As terrestrial beings, most people are challenged to understand the unique processes of the ocean or even fathom being able to take the plunge and dive below the waves. Among the challenges is that urban, rural and geographically land-locked people perceive the ocean to be a distant place beyond their reach. In addition, scientists are often conducting research on relevant topics at remote locations where it is virtually impossible for the majority of the general public to gain a first-hand experience. 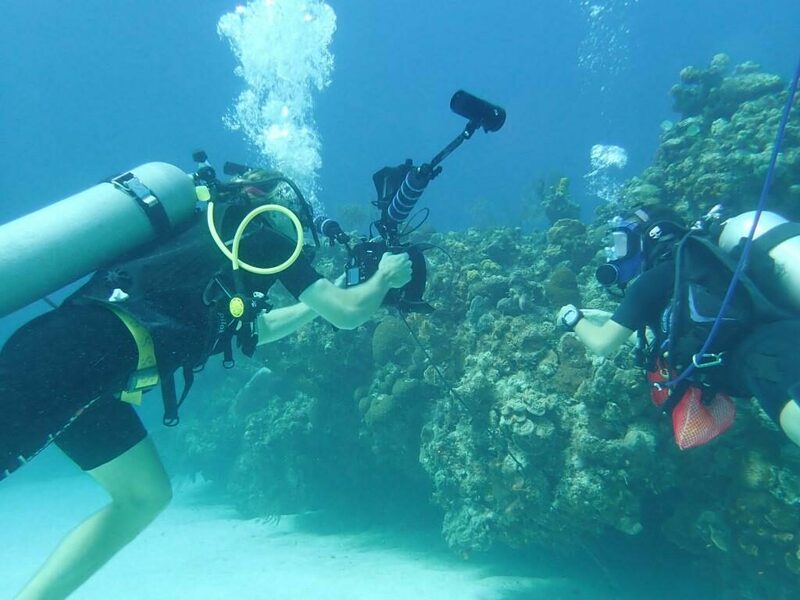 This reality creates enormous financial, logistical, physical constraints on bringing people into the field where they can directly explore the ocean. CCMI’s education team is developing a pilot project that will transform how we teach children about the ocean. 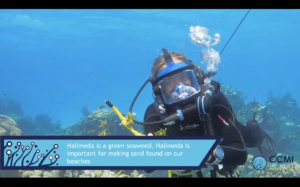 The Reefs Go Live pilot will use the Virtual Live Experiences (VLEs) method in connecting students and the public to real-time coral reef activity, in an informal science setting. Scientists use high tech face masks and streaming computer equipment to deliver live lessons from the underwater and lab environment. Innovative technology enables VLEs to reduce barriers to learning by communicating interactive ‘real-life’ experiences in an informal, scalable science setting. The project has the capacity to deliver curriculum relevant lessons that can be streamed directly to classrooms anywhere in the world. This groundbreaking work will be piloted in local schools initially but has the potential for becoming an international project. Do you want your students to be a part of this adventure below the waves? Contact us here and look for our Reefs Go Live videos to be posted on our YouTube channel. Michael Maes – for his invaluable technical advice, time and generous equipment donations. World Oceans Day 2018: Can We Save Coral Reefs? Dive 1 — Welcome Back to Reefs Go Live! Dive 4 – How Do Scientists Grow Coral? Dive 5 – Herbivory: Remember to Eat Your Reds, Greens and Browns! Dive 6 – Why Are Coral Reefs So Colourful?